Today we’re back with Ronnie Dauber who is a Christian author who lives in Canada with her family. She has written several young adult novels and Inspirational books. Click the header below to read this one at source. As exciting as worship can be on Sunday mornings at church, it should never be limited to just Sunday. It should be part of our daily lifestyle that bursts forth because the heart can’t stop singing praises to God. We need to worship continuously because it’s the fuel that keeps us going. As it says in Psalm 22:3, God dwells in the center of our praises, and when we worship God, His presence breaks all the shackles that bind us. When we only worship God once a week, that is the only time we spend with God to give Him thanks for all He’s done for us, and one hour just isn’t enough time. If we could see all that He’s done to keep us alive and healthy, most of us would fall on our faces and worship Him around the clock. We have so much to be thankful to God for, and it all begins with our salvation. God sent His own Son to come to earth and die on that gruesome cross for our sins. We need to close our eyes and imagine what it was like for Jesus to be beaten and nailed to that cross for you and for me. Then maybe we can get a glimpse of the love that He has for us. When we worship, the bonds of evil literally break and the evil one flees from us. This is because worship brings God’s presence, and as it says in James 4:7, when we resist the devil—which means we don’t focus on him or the problem he’s brought to us but instead, we focus on God—then that evil one flees from us as fast as he can. So we come to God in worship because with the enemy gone from us, we are free to receive God’s peace and whatever instruction or words God has for us. We don’t praise God for the problem, nor do we thank Him for giving it to us, but rather, we praise God that He is greater than our problem. As we seek His presence, we ask God if He has allowed this for a particular reason, and if so, to reveal that reason to us. We praise Him for loving us and for saving us, and we praise Him for hearing and answering our prayers. We praise Him for the joy and freedom of being able to praise Him. Then we praise Him again. We should make time each day to focus on God and praise Him for His goodness and His mercy towards us, for all the blessings in our life, and for our family and friends. 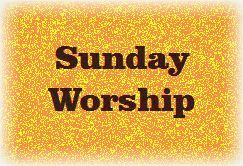 It’s good to have a designated time to worship God but this is more for our own sake so that we don’t “forget” to do it. But God is loving and merciful, and He understands the life we live and how it’s not always possible to do the things we set out to do at the time we plan to do them. So we can get around that issue by coming to worship any time during the day or night. It doesn’t really matter, as long as we spend time in worship. Even so, we can worship God all day long in everything we do. When we eat our meal, we give thanks and praise to God. When we arrive at work safely, we thank God for His hand of protection. When we see someone in need, we help them and pray for them and give God praise for hearing and answering our prayers. When we see a beautiful rose in a garden, we can rejoice in our heart and praise God for His wonderful creation. As believers, we should have our thoughts and mind always directed towards God so that throughout the day we are rejoicing in our heart and praising God. We don’t need to shout it out for God to hear us. He sees our heart and He knows that we are worshiping Him in Spirit and in truth, and that it’s personal and not done for show. There is no end to praising God throughout the day because He is literally in everything we see! However, there are times when we can’t just stop everything and worship God, but it’s during these times that we especially should worship Him and bring in His presence. We can overcome this, though, by having worship music always playing in the background of our home and car. The music fills the air with God’s praises so even the stresses we sense are stifled because of the peace that flows from it. It’s good to have worship music playing in the background throughout the day (and night) so that the peace of God is always present, and so that we can be steadily reminded of His love for us. Most of us can’t listen to music at work but we can listen to it before and after so that we are steadily refilled with God’s peace and joy. The stresses of the world fall off when our spirit is renewed with praise music. Let’s resist the devil! Let’s fill our heart with the peace of God as often as we can so that when we go to bed at night, we know that even though we had jobs to do during the day, we were able to praise God in everything we did. Life is so much better when we celebrate the joy of the Lord whenever we can and let His peace flow through us so that bonds of shackles fall away. This message was taken from the soon to be released book, The ABC’s for Believers. This book is a devotional that will encourage believers to know God and His amazing love for them. It’s easy to read and understand and will help young and new believers alike to understand what it means to love and follow Jesus and know Him in a very personal way. We’re returning to a writer we introduced to you six months ago at one of our Sunday Worship columns. John R. Shuman writes at Truth Fully Spoken. This was part of a post for the U.S. Thanksgiving, so we’ve modified the introduction, but if you prefer, click the (revised non-seasonal) title below to read this article in full at the original site. 13 Now listen, you who say, “Today or tomorrow we will go to this or that city, spend a year there, carry on business and make money.” 14 Why, you do not even know what will happen tomorrow. What is your life? You are a mist that appears for a little while and then vanishes. We are nothing more than a “mist”, something that hangs around for a moment and then disappears. And we are not promised anything beyond this moment. Today is a day to reflect on the gift we were given, the gift of life. 7 Then Jesus said to them again, “Most assuredly, I say to you, I am the door of the sheep. 8 All who ever came before Me are thieves and robbers, but the sheep did not hear them. 9 I am the door. If anyone enters by Me, he will be saved, and will go in and out and find pasture.10 The thief does not come except to steal, and to kill, and to destroy. I have come that they may have life, and that they may have it more abundantly. Jesus came to us to save us, yes, but more than that, he came to Give us LIFE, more life than we ever knew existed, more life than we deserve, more life than we can handle on our own. And the life we get is freely given by Jesus because…. 1 In the beginning was the Word, and the Word was with God, and the Word was God. 2 He was in the beginning with God. 3 All things were made through Him, and without Him nothing was made that was made. 4 In Him was life, and the life was the light of men. 5 And the light shines in the darkness, and the darkness did not comprehend it. read God’s word- we can not know God without knowing His word. accept God into our life- we can not accept God before we Know His word. Follow God for eternity- life does not cease here, we are told that we have an eternity beyond this lifespan. create a new lifestyle. Once we follow God we must be dead to our old life and be born again a new creation. We must BE Essential, we must be a shining example for all to see so that others will see God in us. We MUST LIVE- we can not hide away once we follow God, laws do not stop just because we follow God. So we still need to work, and live a life here. We must shine for the world, we NEED to be the light of man. we need to be the flame that draws moths in. We must PROVIDE understanding to the world, so that they will no longer be in darkness. 16 For God so loved the world that He gave His only begotten Son, that whoever believes in Him should not perish but have everlasting life.17 For God did not send His Son into the world to condemn the world, but that the world through Him might be saved. God freely gives us this life, life EVERLASTING, and He gave it to us so that we might spend eternity WITH HIM. He does not want us to perish, he does not want us to walk in the darkness, he does not want us to die without knowing Him. What God wants is for us to HAVE LIFE, and have life MORE ABUNDANTLY! So, I am thankful for LIFE, because this moment is more than I was promised, this moment is a gift from God, and this moment is a time to celebrate. The life I have is not mine, it is God’s, and I am thankful for that. This life was given to me by God, and I am thankful for that. The people around me (family and friends) get to share in this life with me, and I am thankful for that. My job is an extension of my life, part of who I am, and I am thankful for that. My life is full of mercy, grace, forgiveness, love, and compassion… Not mine but God’s, and I am thankful for that. So, if you ask me “What are you thankful for?” And I reply “Life!” you now know that there is more to life than meets the eye. I am overflowing with thanksgiving, and to limit that thankfulness to people or things does an injustice to the very life I have that makes it so I can enjoy those other things. God, THANK YOU for this life, thank you for giving me more life than I knew existed, thank you for giving ME anything at all, but especially this life. Thank you, Jesus, for providing me the life needed to spread you light throughout the world, I pray that the moths are drawn to this flame so that they might gather the understanding of the light and they too can spread it wherever they may go. Lord, I know that this is not always a time of celebration, but in some lives a time of sadness, I pray that you provide comfort to us that grieve now be with us as we go on through life. Sadness is fleeting, pain heals, emotions will change, and emptiness will be filled, but these do take time, Lord be with those people that need it and let them know you are there for the ENTIRE time. I lift up your children, Lord, for we are always in need of reminders of your love, grant us your love and mercy every moment of every day and help us to remember that you are there and that you are freely giving us all we need. THANK YOU GOD FOR GIVING ME THIS ABUNDANT LIFE! While thanksgiving is not specifically mentioned, it could hardly be missing from the celebrations. Bible scholars point out that chapter 8 reflects chapter 3, even using the same language in parts, to demonstrate a great reversal. There is the giving of a ring (3:10; 8:2), the summoning of secretaries (3:12; 8:9), the writing and sealing of letters (3:12; 8:10), the instruction to kill people including women and children (3:13; 8:11), the publishing of a decree (3:14; 8:13), the speed of couriers (3:15; 8:14), the response of the city of Susa (3:15; 8:15), and the clothing of Mordecai (4:1; 8:15). With a wonderful reversal, there is much for God’s people to be thankful for. However, this is no “happily ever after”. The road ahead would not be easy. The former edict to wipe the Jews out could not be simply undone. That is not how things were done in Persia. As foolish as it seems, what the king writes is final. Instead, a new edict was provided to allow the Jews to assemble an army together, to give them the right to defend themselves. Their road of thanksgiving would lead through enemy territory. As Christians we celebrate a great reversal, we have the greatest reasons for celebration and thanksgiving. Instead of heading toward death, we are headed toward eternal life. We celebrate God’s grace. But like God’s people in Esther’s day, the road of thanksgiving leads through enemy territory. In Esther’s day God’s people were not simply removed from the Persian empire with all its quirks. The Christian today is not simply removed from a broken world with all its troubles. There is great thanksgiving, but the road of thanksgiving leads through enemy territory. The teaching of the New Testament encourages us to be ready for this road. Anyone who tells you that God will lift you out of all troubles when you follow Jesus is being selective in their reading of the Bible. The road of thanksgiving leads through enemy territory. Expect trouble. Prepare for it. There was great celebration for God’s people in the Book of Esther, they knew all would be well, it was a time for thanksgiving. But it was also time to prepare for battle. In Christ we have a great salvation to celebrate, all shall be well, it is a time for thanksgiving. But it is not a time to let our guard down. It is time to prepare for battle, to prepare for the road that leads through enemy territory. The road of thanksgiving leads through enemy territory, but God leads us through it. 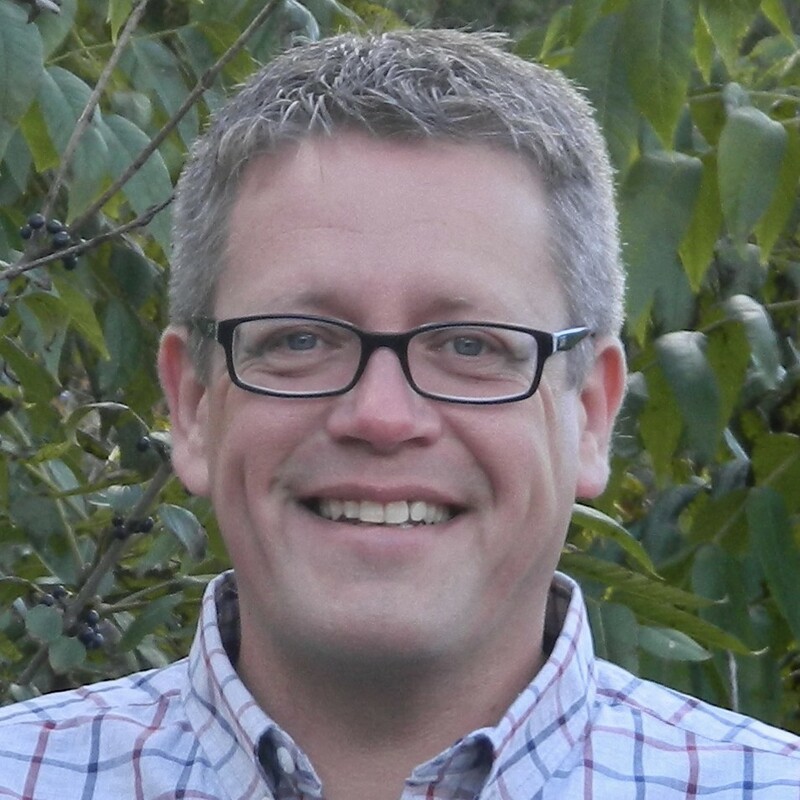 Clarke Dixon is a pastor in Cobourg, Ontario, Canada. Read Clarke Dixon’s blog, Sunday’s Shrunk Sermon. So where did it all go wrong? Two brothers take the time to celebrate God’s goodness with offerings from their work; grain from Cain and a lamb from Abel. How does a seemingly good thing turn so sour? Some might blame God voicing his favor and disfavor toward the brothers. Had God just kept his thoughts to himself perhaps Abel would have lived to see a second Thanksgiving and beyond. But God didn’t keep his remarks to himself, there must have been something remarkable. So the question becomes what is so remarkable about Cain’s offering that God had to express his displeasure? Was it that God prefers animal sacrifice to grain offerings? Was it that blood needed to be spilled for it to be a true offering? Was Cain’s offering not up to snuff in being of lesser value, being either not of sufficient amount or of quality? Each of these possibilities have been suggested, but I think the passage speaks to the what the problem is, it lets us in on what God found remarkable. So what can we say about Cain? He has anger issues (verse 4), he does not listen or heed instruction (as given in verse 7), He is deceitful (verse 8), He is violent to the point of murder (verse 8), he is apathetic to the concerns of another, especially one he should take responsibility for (verse 9), he is snarky towards One who commands respect (verse 9), and finally he is self-centered in showing no remorse but only concern for his own future (verse 13). In short, his character is just plain pathetic. We might be tempted to assume that the brothers were alike until Cain’s anger was aroused, but we should think rather of Cain’s actions as being rooted in the kind of man he had become. The problem is not with Cain’s offering, the problem is with Cain. Notice that God does not just look at the offering the brothers are bringing, he looks at the brothers also: “The Lord looked with favor on Abel and his offering, but on Cain and his offering he did not look with favor” (Genesis 4:4b-5a NIV my italics). If Adam and Eve sinned by trying too hard to be like God, then Cain sinned by not trying hard enough. God is love, Cain is filled with hatred. God is gracious, Cain is selfish. God serves, Cain is self-serving. God is honest, Cain is a liar. Though created in the image of the Creator, Cain fails to live up to that image in any way. What a contrast Cain is to Jesus. The offering at the cross goes far beyond what any other offering ever could. “Thanks be to God for his indescribable gift” (2 Corinthians 9:15 NIV). But more than the perfect and supreme offering, Jesus is the one who bears the image of God like no one else. “This is my Son . . . with Him I am well pleased” (2 Peter 1:17 NIV and elsewhere). We might say that God looked upon Jesus and his offering with favor. How does God look upon you and your offering this Thanksgiving? We’ve already seen how not to celebrate Thanksgiving; as one with a character that displeases God, a character that will lead to all kinds of behaviors that displease God and make life miserable for others at the same time. Of course we are grateful for the grace of God, and the gift of forgiveness in Christ. But that grace does not stop us from taking a good solid look at our character. Wherever we may be in our character formation, are we moving in the right direction? Are we becoming more and more like Jesus, or more and more like Cain? I trust that you and I are moving in the right direction with the power of the Holy Spirit. And for that opportunity there can be much thanksgiving. To be forgiven, and to be growing in Christian maturity, now that’s a great way to celebrate Thanksgiving. I say, ‘Thank you’, Lord, because though You were angry, in compassion You turned your anger away from me. I say, ‘Thank you’ because You answered me and became my salvation and my cornerstone. I say, ‘Thank you’ because Christ Jesus our Lord has strengthened me, to play a part in His work in the world. I say, ‘Thank you’ when I remember and pray with joy for my brothers and sisters, my partners in the gospel, every day You’ve given us. I say, ‘Thank you’ for the cup of blessing – a sharing in the blood of Christ. For the bread that we break – a sharing in the body of Christ. I say, ‘Thank you’ because all of us, so poor and weak, can give as generously as You have given to us. Because everything comes from Your own hand. Because You’ve redeemed us from the hand of the foe. Satisfied the thirsty and filled the hungry with good things. Brought us out of gloom and broken our chains to pieces. Broken down the bronze gates and cut through the iron bars. Sent Your Word and healed us. Rescued us from the Pit. Turned a desert into a pool of water. Given the lost a fertile home, where they can build a city. And given them fields to sow and vineyards to harvest. I say, ‘Thank you’ with the trees of the forest when they shout for joy that You’re coming to judge the earth. for every prayer on my behalf. Thanks be to God for His indescribable gift. Clarke Dixon’s full-length articles return next week. In the meantime, this is a shorter one we had in the files which you hadn’t seen before. Harvey, Irma, Maria, Abdulahi Hasan Sharif, “Ahmed H”, Stephen Paddock. These are names that have been associated with fear, sadness, and anger in recent days. Whether nature unleashing “natural” disasters, or humans being inhumane, these names can be added to a long history of names that have stirred up negative emotions. We can add to the list the names of various diseases that cause us to think of loved ones. Cancer, Parkinson’s, Diabetes, Alzheimer’s, it seems the list could go on forever. Yet, when the dust settles, something else bubbles up. Gratitude for the first responders. Gratitude for family and friends being at one’s side. Gratitude for complete strangers who have responded with help and aid. Gratitude to God for hope that holds firm in the midst of fear. 12 so that my soul may praise you and not be silent. Joy and gratitude. With God in our lives these are always the emotions we can look forward to even if we don’t feel that way in the moment. With Christ’s grace and love keeping a firm grip on us through the hardest of trials, salvation will come. The Psalmist does not say he will give thanks to the Lord for the rest of his life. He says “I will give thanks to you forever.” That is a very long thanksgiving celebration! Regular readers: Consider writing for C201. More info at our submissions page. Is the article rooted in scripture? Is God’s word the focus? In addition to submissions we’re always looking for readers who can recommend suitable material. Grateful for the Christian Church? Because Thanksgiving has already happened in Canada, our U.S. readers can consider this an early Thanksgiving article for them! As people gathered around the Thanksgiving turkey with thanksgiving reflections, how many said something like “thank you Lord, for Christians”? It feels like right now, many would echo the thoughts of Gandhi: “I like your Christ, I do not like your Christians.” Do we, who call ourselves Christian, inspire gratitude? Are people grateful for the Christian Church? If you are a Christian reading this, are people grateful for you? You may wonder why I am sticking to the series from Romans for Thanksgiving Sunday. Read on, there is a connection! As far as I know, people upon discovering their spouse is in an adulterous affair don’t say “thank you, Lord!”. Nor if they discover their family member is a murderer do they say “thank God for that.” And so on. People, whether religious or not, have gratitude when their loved ones are righteous. Paul fleshes out for us in Romans 13 the kind of life that inspires gratitude. A life full of love inspires gratitude: “love one another; for the one who loves another has fulfilled the law”. Love naturally inclines us toward the righteousness that people are thankful for when they experience it from their loved ones. When we learn to love, we do not even need the law. One who holds to a high standard of love does not need rules saying “do not commit adultery”, “do not steal”, and so on. He or she would not want to. When I am driving my wife’s van on the highway, I need the occasional sign to remind me of the rule “thou shalt not drive faster than 100 km/h”. It is easy to speed when you have a smooth ride and a 3.6 litre V6 engine. When I ride my motorcycle, I need neither the signs, nor the rule. Having an engine smaller than your average lawn mower, it is “out-of-character” for my Honda 125 to go any faster. When we are so filled with the love and presence of God that His love is overflowing from us, we don’t need the rules to keep us from hurting people. Hurting others is out of character for a loving person. Doing anything but being helpful to others is out of character for the loving person. Keep in mind we are not talking about the “I love what you do for me” kind of love, but the Jesus-going-to-the-cross-for-people-who-do-not-deserve-it kind of love. It is a decisive, sacrificial, other benefitting kind of love. Are we learning that kind of love that inspires gratitude? If people are not generally thankful for Christians, perhaps we Christians are not loving like we can and should? A life full of light inspires gratitude. To give a loose paraphrase of verse 11, “do this love thing we just spoke of, knowing the age we are in, the age of light breaking in on the darkness”. There is a progression in the Bible from God saying “let there be light” through spiritual darkness beginning with Adam and Eve, through Israel called to be a light to the nations but often having trouble finding the switch, to Jesus being the true light in ways Israel never could. John calls Jesus, the “true light, which enlightens everyone” (John 1:9 NRSV). With Christ a new day has dawned and the darkness is receding. We are called to wake up and live in that new day. We are called to live as those belonging to the Kingdom of light, and not those who live according to the old empire of darkness. The metaphor of waking up continues with the command to “put on the Lord Jesus Christ” when we get dressed. In other words, when people see us, when they see what we put on in the morning, they will see Jesus. Here is also a reminder that it is not about our efforts. 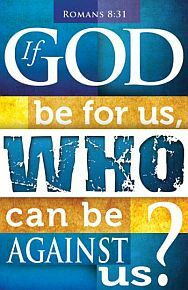 It is about God’s continual presence with us. People don’t like it when we are not conformed to this world. But when we are full of love, when we are full of light, the people close to us are grateful. If our nation is not particularly grateful for the Christian Church, then perhaps it is time for us to wake up and put on Christ. Are you up and dressed yet? We’re paying a return visit to Rick Morgan, who blogs in the UK at Digging The Word. Click the title below to read at source. This is very timely for our US readers for whom today is the start of the Thanksgiving holiday. This is actually two different posts, we’re presenting them in reverse order to how Rick had them. Click the individual titles to read at source. Other titles in this series include A Heart of Love Has Peace, A Heart of Love Even When Life Is Difficult, A Heart of Love Joyfully Praises God. Most people are quick to forget where the blessings come from. 14 He looked at them and said, “Go show yourselves to the priests.” And as they went, they were cleansed of their leprosy. 15 One of them, when he saw that he was healed, came back to Jesus, shouting, “Praise God!” 16 He fell to the ground at Jesus’ feet, thanking Him for what He had done. This man was a Samaritan. You just met a man that you heard rumors about, and then sure enough you and your friends all cry out for healing, all ten of you get what you asked for. Which leper are you? You just witnessed ten people healed simultaneously, you being one of them, what do you do? Do you think the other lepers remained healed? If so, what was the benefit or blessing for the one leper who returned to give thanks? Does living with a heart of thanks make a difference in your life? I have been blessed beyond measure, I have been healed from the leprosy of sin, I need to give God thanks for what he has done and what he is still doing in my life. Thank you Lord for healing me and bringing me back to life! I am an unworthy servant that seeks to obey you fully from a heart of gratitude. Psalms 30:11-12 You have turned my mourning into joyful dancing. You have taken away my clothes of mourning and clothed me with joy, that I might sing praises to You and not be silent. O LORD my God, I will give You thanks forever! As you count your blessings today don’t forget to praise and worship God for the gifts that are impossible to have without him. Things like salvation, true love, the ability to know him and relate to him, if we really appreciate these things then our desires for the stuff that the world has to offer will fade. As we mentioned on Saturday, this was Thanksgiving weekend in Canada. Since Clarke Dixon’s regular contributions here are based on his sermons of the previous week, we have Thanksgiving as today’s theme, which for most of readers, comes a few weeks early. 1 Make a joyful noise to the LORD, all the earth. come into his presence with singing. Give thanks to him, bless his name. The call to thanksgiving is a call to know the LORD. The Psalm begins with a call to make a joyful noise, not to just any lord, but the LORD. Many of our translations use LORD all in capitals in place of the actual name of God. There is a long story about this but suffice it to say here that we have a call to give thanks to The One Creator God Who has revealed Himself as recorded in the Bible. Here we have not some nebulous concept of a god that can never be known, but a very specific and personal God who can be known and has made Himself known. The Psalmist is very clear on to whom thanksgiving is due, the One God Who has made Himself known. The call to thanksgiving is a call to experience joy in the LORD. These should not be taken as commands so much as an affirmation of what comes naturally. People naturally respond to really good news with joy, noise, and singing. Even those who cannot carry a tune cannot contain their enthusiasm. When we know the LORD properly, we will understand that the opportunity of being in relationship with Him is a fantastic opportunity. We will understand how amazing a thing it is to enjoy God’s presence. A church I once pastored could joyfully claim that a former Prime Minister of our nation was once a regular attender. Yet that fact pales in comparison to having the King of Glory in attendance. If there is joy lacking in the church services across our nation, perhaps it has less to do with getting a handle on worship style and more to do with getting a handle on how utterly fantastic a thing it is to be in the presence of the LORD. Since I brought up worship style let us recognize too, that the call to thanksgiving is a call to experience joy in the Lord rather than a call to enjoy ourselves. When we put the emphasis of church worship on making sure people enjoy themselves, we begin to emphasize perfection in performance. If the church I pastor suddenly put an emphasis on excellence in performance I would soon find myself out of work. When worship is more about joy in the Lord than enjoyment of oneself, our experience of worship will be decided long before the church service begins. The call to thanksgiving is a call to praise the LORD. Sometimes a skeptic will ask if the Lord is so insecure that he needs our praise. This is to completely misunderstand praise. Praise is not something God needs, nor is it something that must be commanded, but is something we do quite naturally. Does the mother or father of a child need to be instructed to praise him or her when they take their first steps? Momentous occasions call for momentous praise. To give thanks to the Lord for all His goodness is a momentous occasion. The call to thanksgiving is a call that goes out to everyone, everywhere. We don’t normally think of God’s people in the Old Testament as being a missionary people. But the Psalmist is, calling everyone, everywhere to give thanks to the LORD. People sometimes mistakingly think that God changes direction between the Old and New Testaments. He does not change directions, but goes further along the same direction, revealing Himself and His goodness more fully and driving the point home that He is love. We know from the Old Testament that all people, everywhere owe a debt of thanks to the LORD for life itself. We know from the New Testament that all people, everywhere have the opportunity to experience eternal life in Christ. Do we have the confidence as Christians to know that calling everyone, everywhere to thanksgiving is the right thing to do? Or do we hide behind a philosophy of faith as a private and personal thing? God did not keep the fact that He is Creator private. He has not hidden His goodness. He did not hide behind a tree, but bore the cross publicly. He did not roll the stone back across the tomb to hide the fact of a missing body. Either God is to be thanked or not. Either by everyone, if it is true, or by no one, if it is not. The Psalmist knew what was what and was not shy about issuing a call to thanksgiving. Are we? This is Thanksgiving Weekend in Canada. Russell Young adapted this from a presentation he is doing. His regular contribution will appear Sunday. Thanksgiving is often celebrated as a harvest festival, a time of bringing in the riches of all that the land has provided the labours of man from the season just past. It is a time of rejoicing for God’s provision. In norther climates where leaved trees grace the land, thanksgiving is also a time of exceptional beauty. Autumn leaves reveal their varied colours and brilliance as green leaves are changed into many oranges, browns, reds, and yellows. The God of creation is preparing an eternal place in his presence for those who love and obey him. His people should think of this. Is there not more to be celebrated than a bountiful harvest? Is He not more to be celebrated than temporal riches or good times? In spite of challenges, many people can celebrate that they live in the presence of peace and safety. They don’t have to seek shelter from blazing guns or falling bombs as believers must in Iraq or Syria. They are not wantonly tortured as they are in many African countries. Not many have to fear suicide bombers. Many will have something to eat tonight. Their children are not starving and have access to adequate healthcare. King David had taken another man’s wife and even had him killed. His penance brought redemption and forgiveness. God was truly merciful to him. All of the redeemed can appreciate the sins that cost the life of God’s one and only begotten Son? David did not just thank God for a bountiful harvest and a full stomach. He thanked God for his awesomeness and mercy. God placed Adam and Eve in an ideal setting, the Garden of Eden, and yet they sinned. He started the human race again with righteous Noah following the Great Flood, and they sinned. He chose a special people, Israel, and offered them many promises of blessings for obedience, and they rebelled. He redeemed them from Egypt and led them in the wilderness; even then they continued to sin. He gave them the law and the prophets and the tabernacle system of worship. He made his requirements clear and recorded them on stone…and his people sinned. Finally, he gave the life of his Son as a payment for sin, and the Spirit of Christ, his Son, to live in the repentant. Just as Christ had lived a sinless life in the body that the Father had prepared for him in the womb of Mary, he has made provision for victory for all who live under his lordship through obedience. This is the believer’s great hope and the ultimate expression of God’s love for a helpless sinner. Christ in you. What are you giving thanks for? Is it a meal? A comfortable bed, close friends? Or, is it for the faithfulness of a loving and all-sufficient God and creator. What is your celebration about? Be thankful for God and his mercy. Celebrate his love and the hope he offers. Celebrate him, not just what he has done. Clarke Dixon returns for his regular mid-week column. For this one, you need to know that this past weekend was Thanksgiving in Canada. So if you’re Canadian, this is a few days late, but for most of our readers, it’s a few weeks early. Click the title below to read this at Sunday’s Shrunk Sermon. We value individual liberty and freedom. Rules are seen to push against freedom. We fear judgementalism. Those who do not like rules may feel that those who do are judgemental. We value self-esteem and self-confidence. Consistently being poor at keeping rules can make one feel like a bad person. Since we do not seem to like rules very much, why are we talking about them on Thanksgiving? Why are we thinking of God’s law, and why are we focusing in on the Ten Commandments? It is partly because I have begun a sermon series on Deuteronomy and didn’t want to leave it for Thanksgiving. However, I was intentional in getting the Ten Commandments to land on this particular weekend. Why? Because the God’s law is something we can be truly grateful for. While my wife remembers most of our wedding gifts from sixteen plus years ago and can identify items around the house that were gifts, I can identify very few. Typical man perhaps? But one I do remember. A plain black power drill. I can remember it partly because among all the gifts which tended to be quaint items, or kitchen items and the like, the drill stood out like a sore thumb. I remember it because it was from my parents. I also remember it because it is the wedding gift that over the years I have been most grateful for. A strange gift at the time perhaps? Best wedding gift ever in the long run! My parents knew what they were doing. We may think that rules make a strange gift from God. But they are a great gift in the long run. God knew and knows what He is doing in giving them! So in what ways are the rules a gift that we can be grateful for? 6 I am the Lord your God, who brought you out of the land of Egypt, out of the house of slavery; 7 you shall have no other gods before me. 8 You shall not make for yourself an idol, whether in the form of anything that is in heaven above, or that is on the earth beneath, or that is in the water under the earth. 9 You shall not bow down to them or worship them; for I the Lord your God am a jealous God, punishing children for the iniquity of parents, to the third and fourth generation of those who reject me, 10 but showing steadfast love to the thousandth generation of those who love me and keep my commandments. These are rules given to help the people of God honour God. Remember that God is Creator, God is Sovereign. To honour God is truly important. To be given guidance on how to do that is priceless. Such guidance is a wonderful gift. 16 Honour your father and your mother, as the Lord your God commanded you, so that your days may be long and that it may go well with you in the land that the Lord your God is giving you. 20 Neither shall you bear false witness against your neighbour. 21 Neither shall you covet your neighbour’s wife. Neither shall you desire your neighbour’s house, or field, or male or female slave, or ox, or donkey, or anything that belongs to your neighbour. Not just the Ten Commandments, but the entire Law was a wonderful gift of God in guiding His people toward good relationships. How can we have a righteousness that exceeds that of the scribes and Pharisees when they were known to be the best at knowing, keeping, and enforcing the rules? By coming at the rules from a place of love and practicing them for the sake of love. The religious leaders were practicing the rules for the sake of religion, but the Christian is to be ethical, living out the rules, as a means of loving God and loving others. God’s law helps the Christian know how to express love. What a gift! Second, the Christian finds in the Old Testament rules foundational teaching on what pleases and honours God. We are not required to become Jewish in becoming a Jesus follower, and so there are many customs and laws that are not binding, especially with regards to dietary restrictions and the like. However, we do see in the Old Testament law what pleases God and what does not. We still learn from them practical advice on how to honour God and how to honour others. What a gift to have such guidance! In becoming aware of our lack with regard to the rules, we become aware of our need for grace. In becoming aware of our need for grace we are awakened to the wonderful joy of knowing salvation in Jesus. The Holy Spirit convicts and encourages all along this journey. The rules, in being a part of that journey toward salvation are a real gift! So when we think of the things we can be grateful for, I hope that we can all thank God for rules! All scripture references are taken from the NRSV. In North America, we usually use the phrase “gifts in kind” to refer to donations people make to charities and non-profits of things other than cash. Someone will donate a valuable sterling silver cutlery set, or an oil painting by a renown artist. We usually think of such gifts as originating with people who are wealthy — after all, they owned these beautiful pieces in the first place — but it can also be done by people who are too poor to make a monetary gift, but find themselves in possession of something that can be assigned a value and then sold by the organization they wish to support. …David lavished Mephibosheth with more than he ever could have dreamed: land, servants, and access to the king’s table. Mephibosheth had not deserved the misfortune that had marked his life. But neither did he earn the good fortune that suddenly befell him. Mephibosheth must have been overwhelmed by it all. I’m wondering if there’s anyone reading this who can think of someone who has passed from this life, and there perhaps a wish that you could have done something, or done more to bless that person? 1. That he sought an opportunity to do good. At this point, it’s easy to let yourself off the hook and say, “I did not have a covenant relationship with anyone like that. invite them over for dinner or out to a restaurant? give them a gift, perhaps even a Bible or Christian book? make a charitable donation in their name or in memory of their loved one? write out the story of how their relative blessed you and print it out for them as a keepsake? failing all else, just simply tell them how much their family means to you? Is there a Mephibosheth in your life? 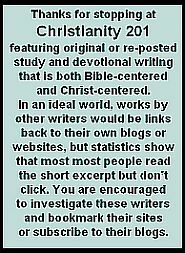 During Sundays in February we’ve been visiting the blog Christian Fellowship Devotions. Archives at the blog go back to 1996, and today I want to link you to their topical index. For our final Sunday with them, I wanted to use an older item by Janice that deals with a topic I know is very real to many of you. (I think by NNAS she is referring to the updated New American Standard.) Click the title below to read at source. Depression — it’s something many of us struggle with — yes, even Christians. Being depressed does not mean you are “not a good Christian.” In fact, some of the “heroes of our faith” went through periods of what used to be called “melancholy.” Sometimes depression is a result of sin, but at other times, it is as Christian psychiatrist Frank Meier says, simply “…the result of life stresses.” Here is a bit of what God’s word has to say about it. Neh 1:3-4 (NNAS) They said to me, “The remnant there in the province who survived the captivity are in great distress and reproach, and the wall of Jerusalem is broken down and its gates are burned with fire. When I heard these words, I sat down and wept and mourned for days; and I was fasting and praying before the God of heaven. Psa 13:1-3 (NNAS) How long, O LORD? Will You forget me forever? How long will You hide Your face from me? How long shall I take counsel in my soul, Having sorrow in my heart all the day? How long will my enemy be exalted over me? Consider and answer me, O LORD my God; Enlighten my eyes, or I will sleep the sleep of death. Psa 102:9-11 (NNAS) For I have eaten ashes like bread and mingled my drink with weeping. Because of Your indignation and Your wrath, For You have lifted me up and cast me away.My days are like a lengthened shadow, And I wither away like grass. Prov 14:13 (NNAS) Even in laughter the heart may be in pain, And the end of joy may be grief. What We Are to Do About Depression? Neh 1:6-7 (NNAS) Let Your ear now be attentive and Your eyes open to hear the prayer of Your servant which I am praying before You now, day and night, on behalf of the sons of Israel Your servants, confessing the sins of the sons of Israel which we have sinned against You; I and my father’s house have sinned.We have acted very corruptly against You and have not kept the commandments, nor the statutes, nor the ordinances which You commanded Your servant Moses. James 4:8-10 (NNAS) Draw near to God and He will draw near to you. Cleanse your hands, you sinners; and purify your hearts, you double-minded. Be miserable and mourn and weep; let your laughter be turned into mourning and your joy to gloom.. Humble yourselves in the presence of the Lord, and He will exalt you. Find things to be thankful for, even in the most painful times. God will honor that. 1 Th 5:18 (NNAS) In everything give thanks; for this is God’s will for you in Christ Jesus. Share with a trustworthy friend. Let him minister to you. Rom 12:15 (NNAS) Rejoice with those who rejoice, and weep with those who weep. Jesus’ compassion wasn’t measured by the social context, or the condition of the individual, but by the need. I found this on the blog of Jonathan Zinck who pastors The Pier Church in Brockville, Canada; a city in which we were involved for 14 years. He wrote it for the Canadian Thanksgiving holiday, and with a largely U.S. audience here, I thought of filing it away for the end of November; but with its references to leprosy it seemed more immediate in light of Ebola and Enterovirus. There are however, less dramatic examples of outcasts around us all the time. Do we reach out to touch them as Jesus did? “Everyone has to matter, or no one matters”. This is a quote I saw on Twitter yesterday. Although it was a quote from a current TV drama, it was a statement I couldn’t ‘shake’. The reason it resonates with me so deeply, is because it is a statement I have been wrestling with the last number of weeks. Whether in conversations with friends, in my devotions, or while ‘people watching’ over the steam of a cup of coffee, the message of this statement has been churning my heart. When it comes to compassion and needs to be met, my first step has always been to meet the challenge. In fact, as a Church family that we affectionately call ‘the knee-cap’, our primary mandate is to invest in others’ lives. So why the challenge in my heart? It isn’t because of the words ‘to matter, but the word ‘everyone’. This statement speaks more than just being compassionate, but that our compassion is not limited to a few, but a commitment to ‘all’. This statement challenges my heart because its origin isn’t in a TV drama, but from the words of Jesus. Jesus’ compassion wasn’t measured by the social context, or the condition of the individual, but by the need. From the very beginning of His ministry, Jesus made it very clear that He had come for all, and that ‘everyone has to matter, or no one matters’. In fact, the Bible tells us that this statement is the very context of the Cross. John 3:16-17 Jesus proclaims that He came to spiritually rescue ‘all’ who would come. John 17:20, Jesus prays that ‘all’ who believe the message will be united as one. Romans 3:22, stresses that salvation through the Cross is for ‘all’ who believe, and 1 Tim 4:10 impresses on us that Christ has come as Saviour for ‘all’. So what’s my point? Why am I so challenged by the statement ‘ Everyone has to matter, or no one matters”? Because if I am a follower of Christ, I am not only to live a life of compassion for others, but a life of compassion for all. Because as I honestly look into my life I have to ask myself if I show equal measure of compassion to everyone. Am I willing to walk with those who are labeled as socially ‘unclean’ in the same way with those who are socially accepted? Am I willing to invest in the needs of those who oppose me, in the same way I am willing to invest in the needs of those who accept me? For all of us, as followers of Christ and walkers with Christ, is mandate our to show compassion to all…period? Jesus’ voice from the Cross answers with a resounding “Yes!” What Jesus risked with the leper pales to what He did on the Cross. Taking on the ultimate persecution, humiliation, and torture, He sacrificed and invested His life for ALL…yes All. Regardless of our need, our past, or our social status, Christ made the ultimate sacrifice so that we (all of us) have the opportunity to reach out to Him in faith, to receive the ultimate reward- salvation and eternal Hope. Thanksgiving is not only a time of celebrating how we have been blessed, but the active sharing of what we’ve been given. Likewise, Thanksgiving of Faith- celebrating the message of the Cross- is not only celebrating our salvation and deliverance, but is sharing this hope to all, by investing in others what Christ has invested in us: all love, compassion, and message of Hope. So here’s my encouragement, challenge, and request for you. My request is that you walk with me in this. I encourage you to wrestle with what “Everyone has to matter, or no one does” means to you. I want to challenge you to intentionally reach your hand out to someone who you have personally regarded as ‘unclean’, and example Christ to them. Being a follower of Christ is not only fully receiving what Christ has done for us, but the commitment to follow Christ…walking in His steps…love those He loves (All)…share hope with those He sacrificed His life for (All). This is a Thanksgiving celebration of Faith. Affluence is the danger that lay ahead of God’s people. 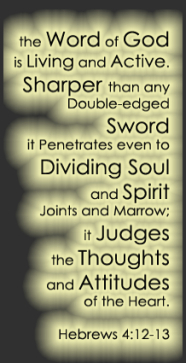 Note the twin dangers that lurk in a good life; forgetting God and exalting oneself. A lot has been written on the sobering statistics of the Christian faith in Canada. Some blame church music, some blame boring preaching, and some blame stuck-in-the-mud ethics for the shift away from faith. Meanwhile those of an atheistic bent would have us believe that we can thank better education. But perhaps what we are experiencing are the symptoms of a bad case of goodstuffitis. Things are going good for the typical Canadian. Opportunities abound. Houses are being built. Fancy cars, fancy cottages, and fancy coffees are being bought. People are doing well. And God is all but forgotten. Self, on the other hand, is exalted. What are we to do? The cure for goodstuffitis is gratitude. God’s people are told to “remember the Lord your God” (verse 18). They are, of course, not just to remember that God exists, but rather to remember that everything good that they have and experience, would not have happened if it were not for the Lord’s goodness to them. Likewise, we can remember the Lord in all the good that we have and experience. However, we may push back and say “I have this because I earned it, I am entitled to it.” We might consider the words of Paul here: “What do you have that you did not receive? And if you received it, why do you boast as if it were not a gift?” 1 Corinthians 4:7b (NRSV). Yes, we may have worked hard in school to get good grades, but did you create your own brain? Yes, you may work hard to earn money, but did you create the earth with its resources, routines, and seasons so necessary for your work to be carried out? At some point or other, everything that we can point to as good in our lives has its source in God. And the greatest example of all is our salvation. How people so badly want to earn it! How people so assuredly think they are entitled to it. We can not, and we are not. Salvation, in all the fullness of what that means, is a gift! There is no greater good that we could have or experience, but gratitude must be applied to keep us from developing goodstuffitis even in this: “Thanks be to God for his indescribable gift!” 2 Corinthians 9:15 (NRSV). 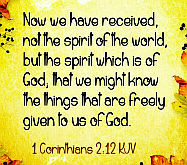 We have been considering how God through His Holy Spirit is creating within us the character trait of generosity. We have considered also that we may at times stifle the work of the Holy Spirit in our hearts. A bad case of goodstuffitis with its symptoms of boasting and a sense of entitlement can kill generosity. It’s not hard to see how this can kill our hopes of becoming generous people; “I worked for it and you didn’t, I deserve it, and you don’t.” But thankfully there is a cure, and that cure is gratitude. Lord, may I not feel entitled to, nor boast about, the good that I have and experience, but may I be grateful to your for it, and knowing it is from your hand, help me share it with others.